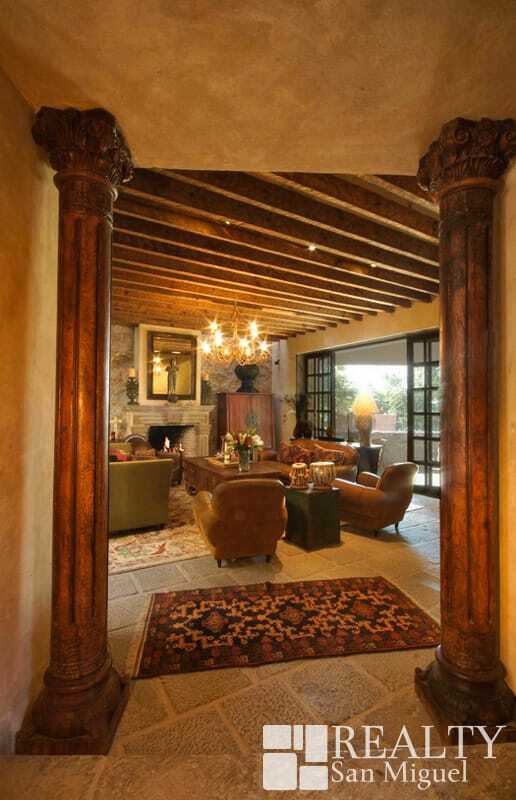 Each element of this elegant home is chosen for its beauty and warmth, including the hand carved antique wood doors, stone passageways, imported teak columns, and meandering landscaped gardens. 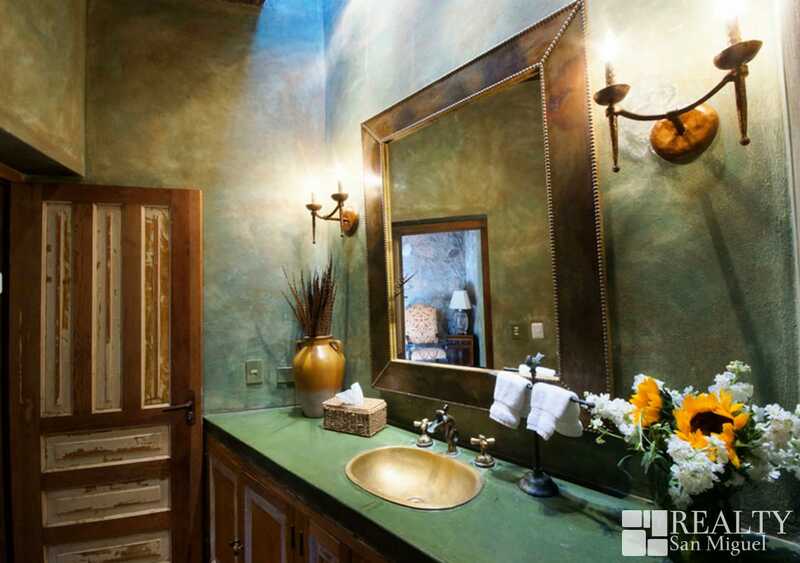 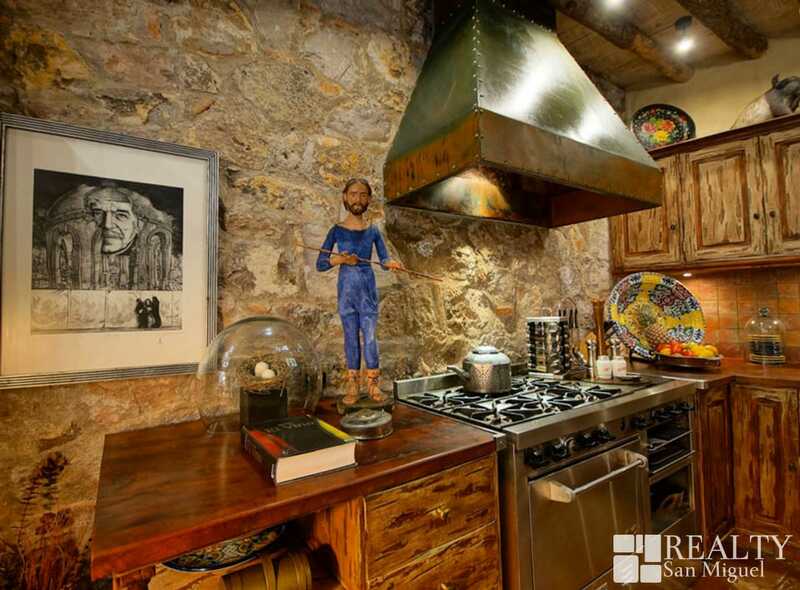 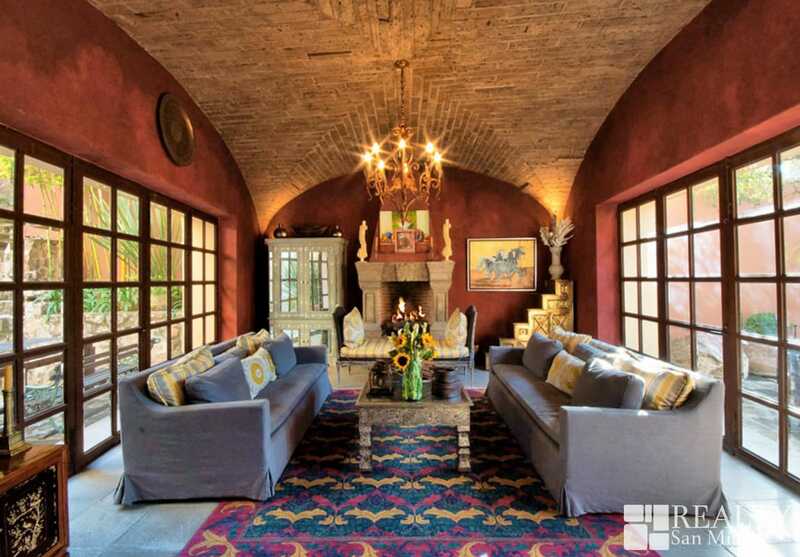 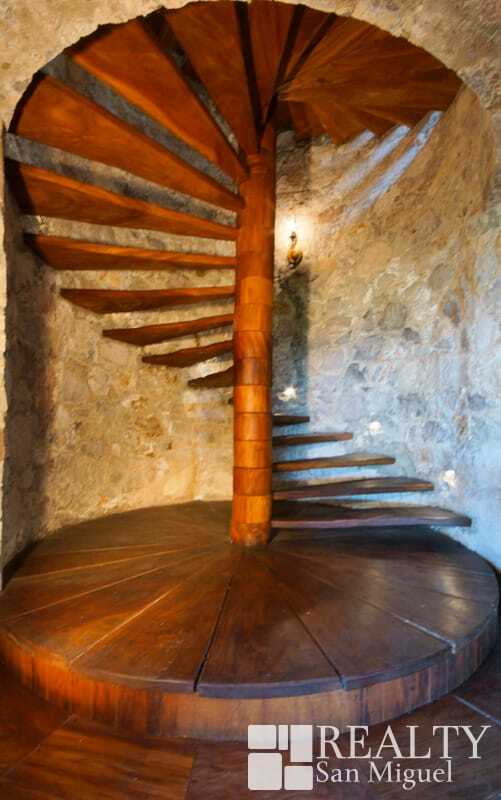 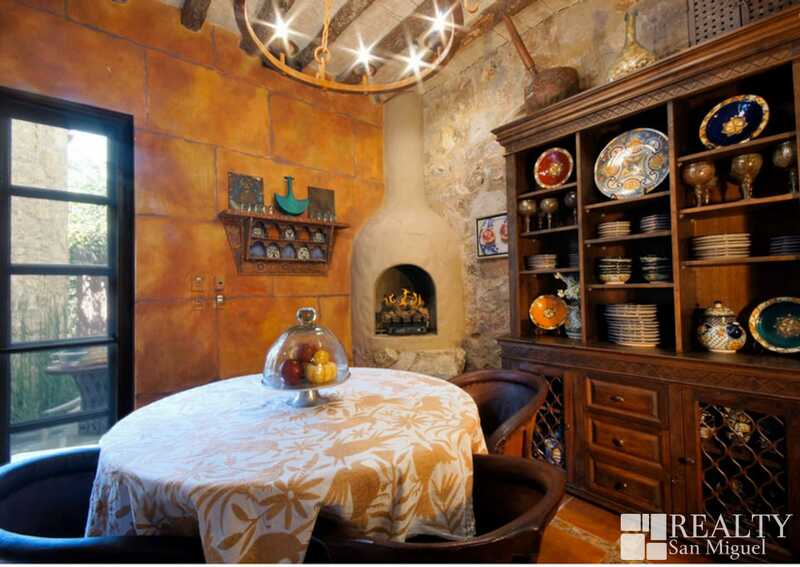 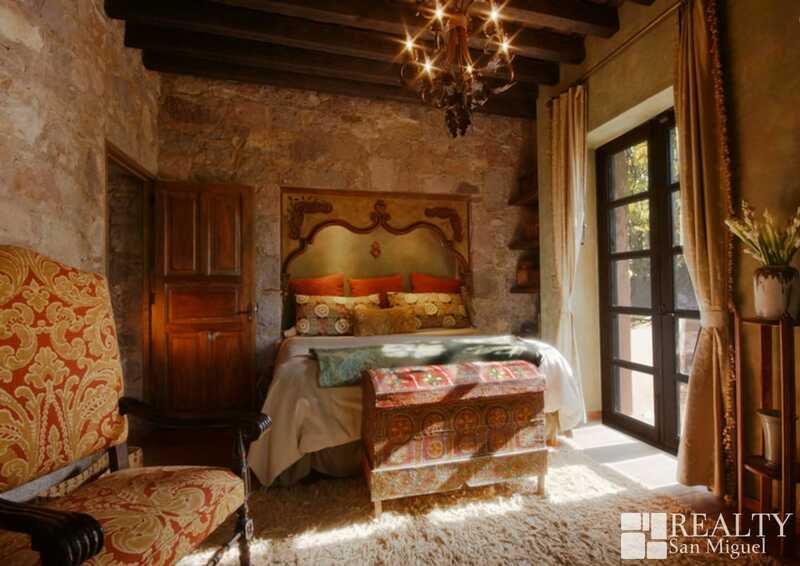 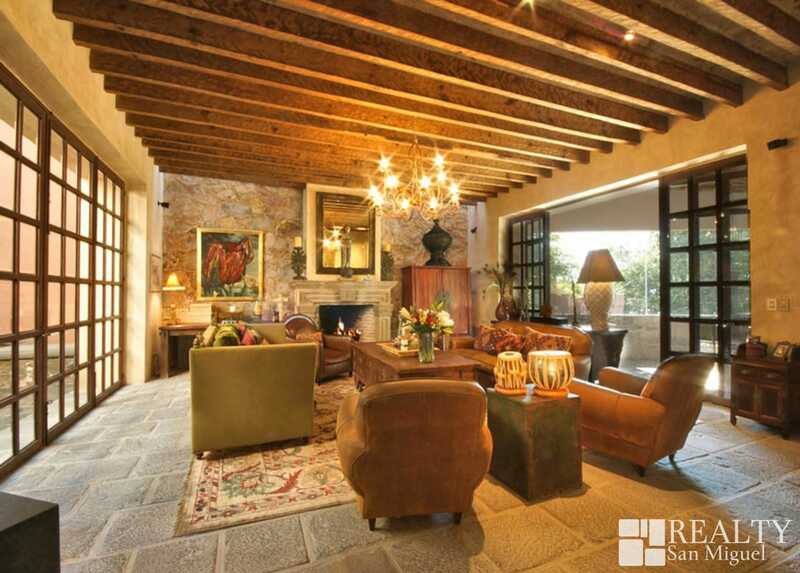 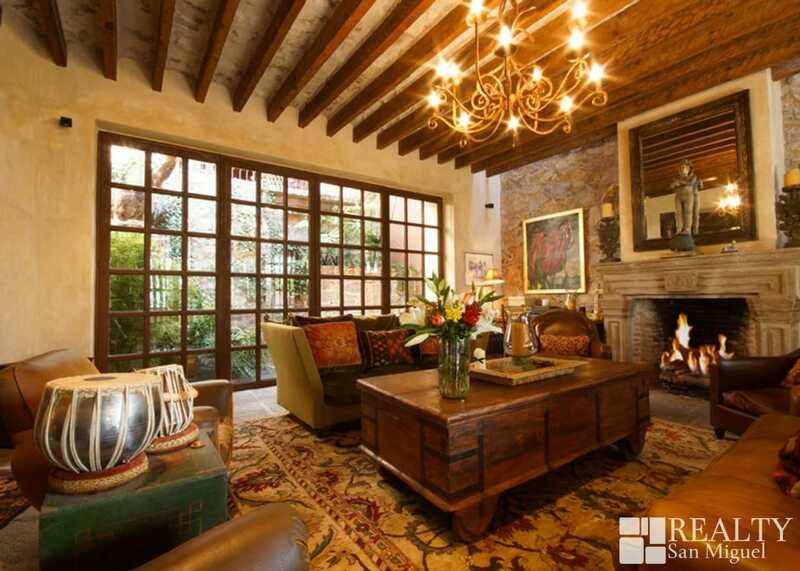 Architectural elements from Mexico, inlcuidng stone walls, cantera fireplaces, and wood beamed ceilings mix seamlessly with imported antique features, including handcrafted elements from India, Burma, China and Morocco. 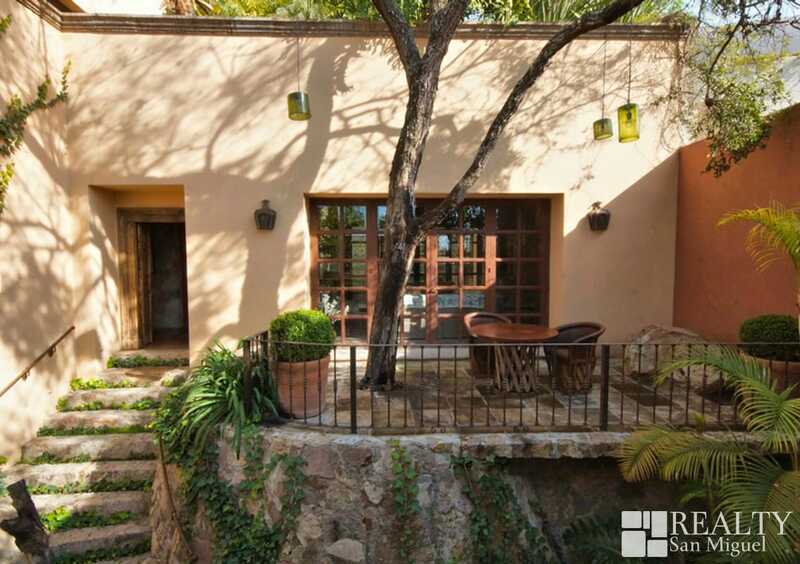 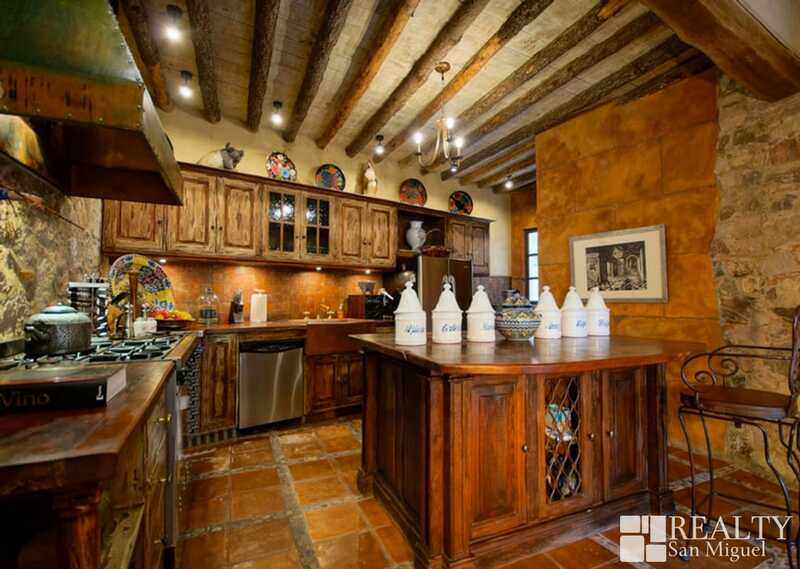 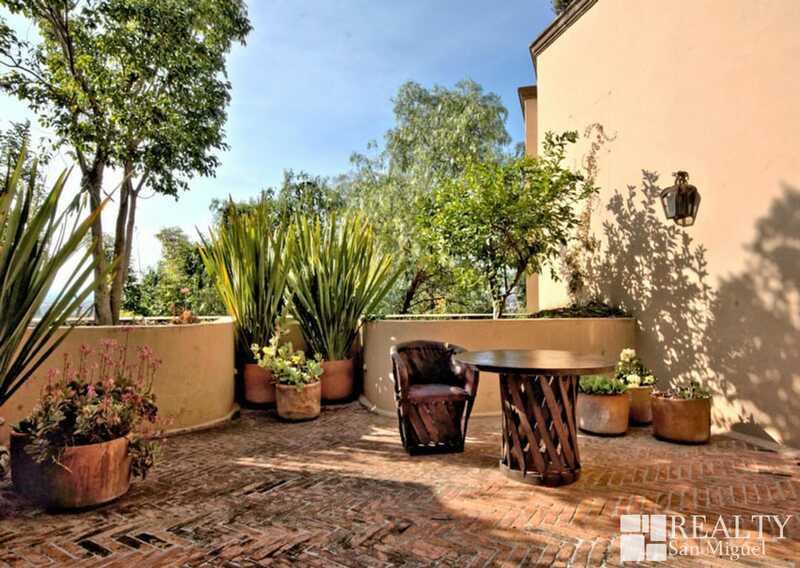 Built into the hillside, this multi-level home takes full advantage of some of San Miguel’s finest views. 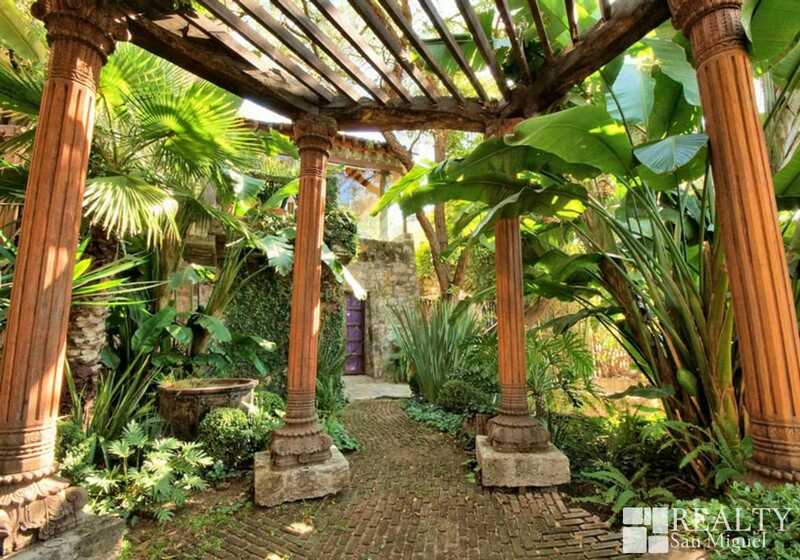 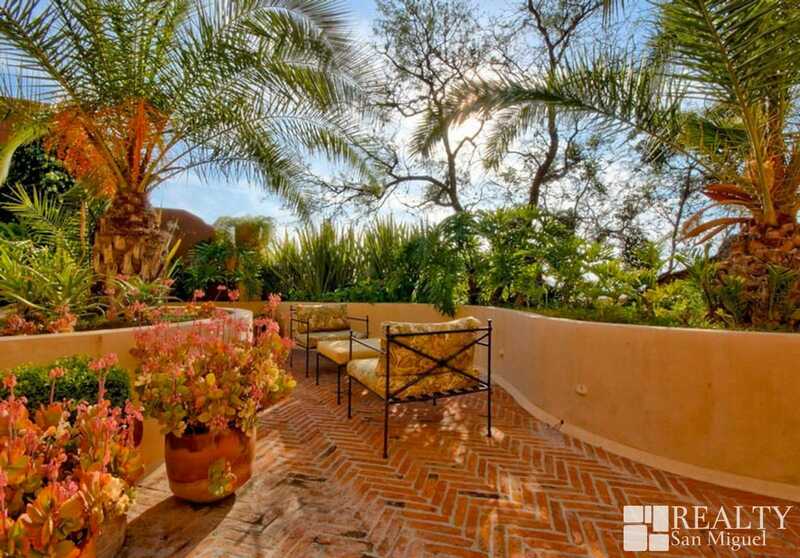 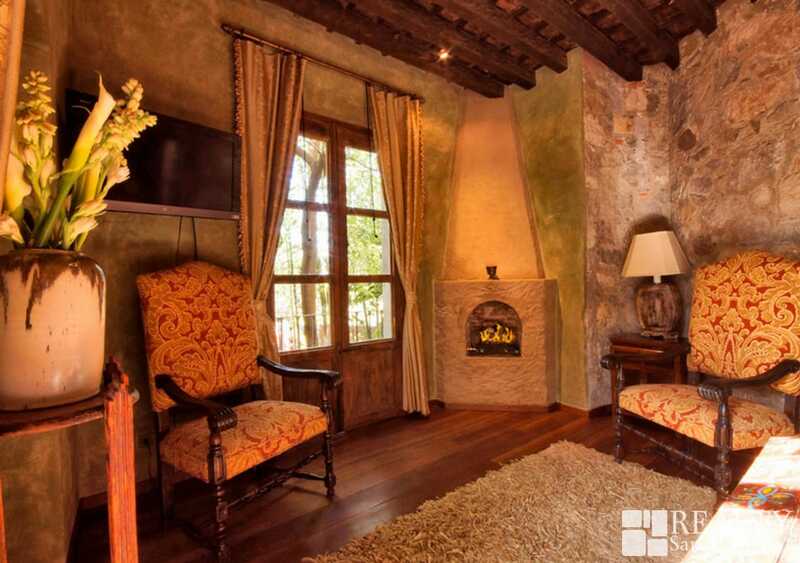 Starting on the lower levels, one can look out onto a canopy of the lushest vegetation in San Miguel. 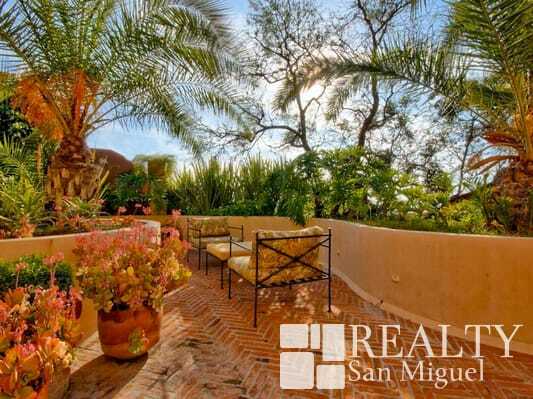 From the upper levels, incredible sunset and mountain views are perfectly visible from the master bedroom suite and detached office casita. 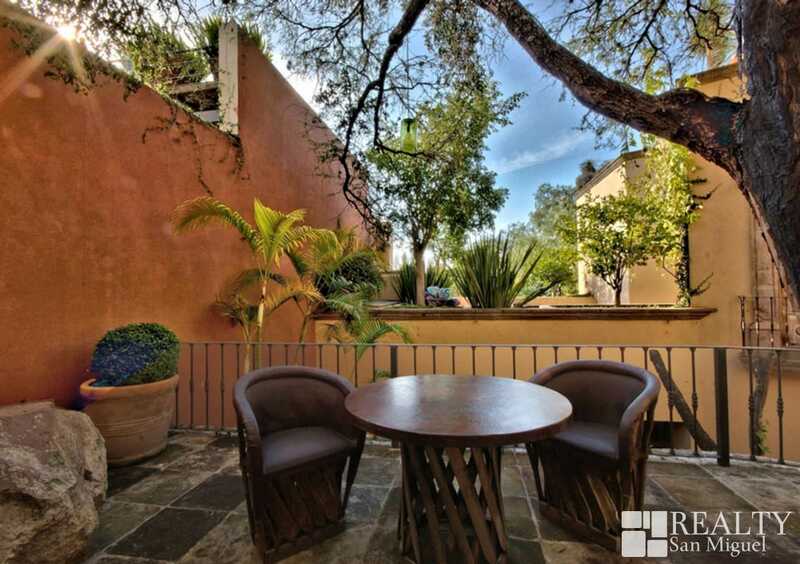 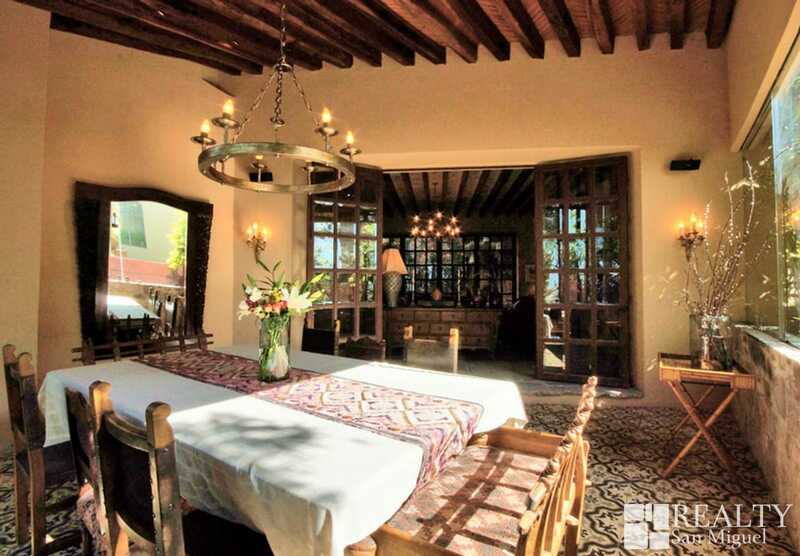 One of San Miguel’s most luxurious and romantic homes, located just steps outside the city’s historical centro in the beautiful Juarez Park neighborhood.